We’d love your help. Let us know what’s wrong with this preview of Een dag om nooit te vergeten by Annejet van der Zijl. 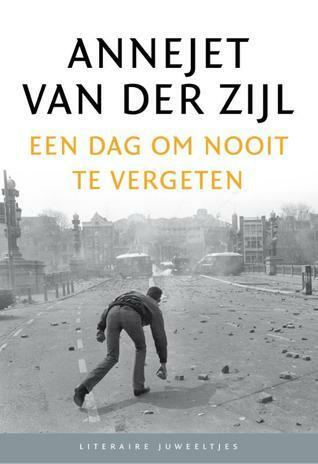 To ask other readers questions about Een dag om nooit te vergeten, please sign up. Annejet van der Zijl is a Dutch writer. Born in 1962, she studied mass communication at the UVA in Amsterdam and did a MA International Journalism at City University in London. She worked in magazine journalism until 2000, meanwhile publishing her first book Jagtlust, about a ramshackle villa that in the sixties was a meeting place for many artists and poets. Annejet van der Zijl lives in Amsterda Annejet van der Zijl is a Dutch writer. Born in 1962, she studied mass communication at the UVA in Amsterdam and did a MA International Journalism at City University in London. She worked in magazine journalism until 2000, meanwhile publishing her first book Jagtlust, about a ramshackle villa that in the sixties was a meeting place for many artists and poets. Annejet van der Zijl lives in Amsterdam with her husband, a journalist.